Auto shut-off fuel nozzle. 3/4"" BSP inlet. 15/16"" spout. 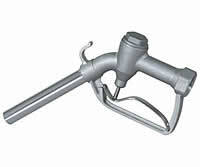 Manual fuel nozzle. 1" BSP inlet. 13/16" spout. 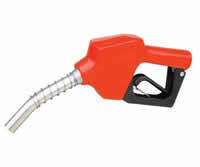 Auto shut-off fuel nozzle. 3/4"" BSP inlet. 13/16"" spout.